This article is about the guest star. 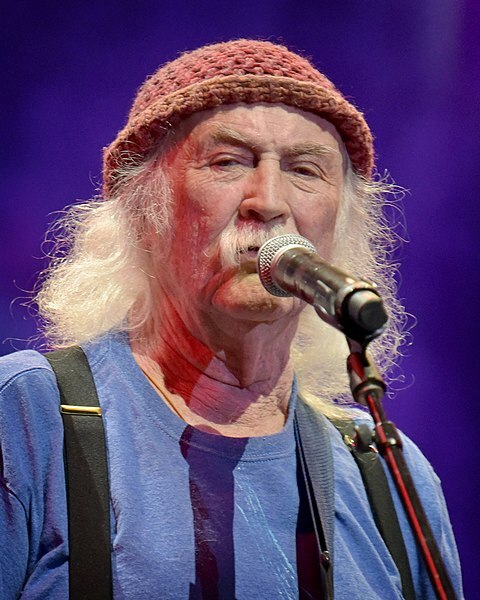 For the character, see David Crosby (character). David Van Cortlandt Crosby (born August 14, 1941) is an American guitarist, pianist, and singer-songwriter, most famous for being a founding member of the band Crosby, Stills, Nash & Young. Crosby voiced himself in two episodes: the season 4 episode "Marge in Chains" and the season 5 episode "Homer's Barbershop Quartet".